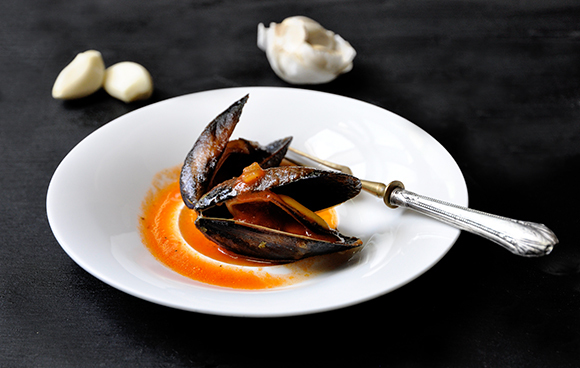 Marinara is one of my favorite sauces for mussels. 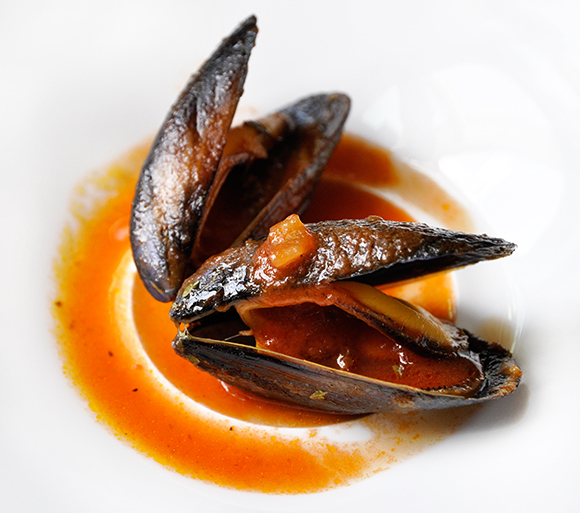 Marinara means 'sailors' style' in Italian, so probably the sailors preferred to have mussels that way. Because of the wine as an ingredient. 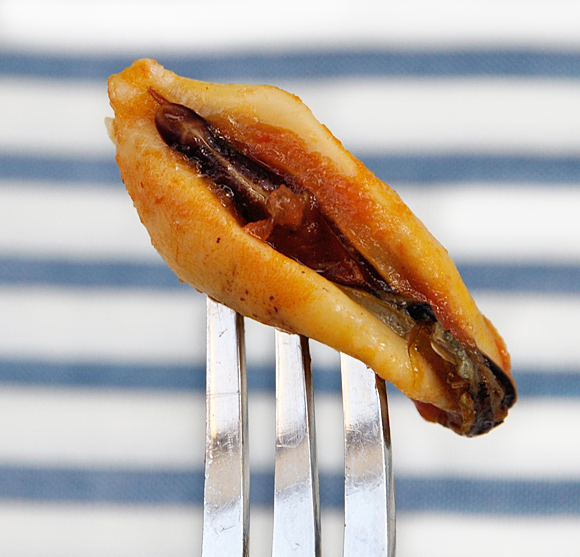 Or because mussels get hot and full of flavors. Mussels marinara are usually served over boiled linguine, but I love them so much, that I skip the pasta and sip the sauce of the mussels right from the shells. Or enjoy to wipe up the spicy sauce with a slice of crusty bread. 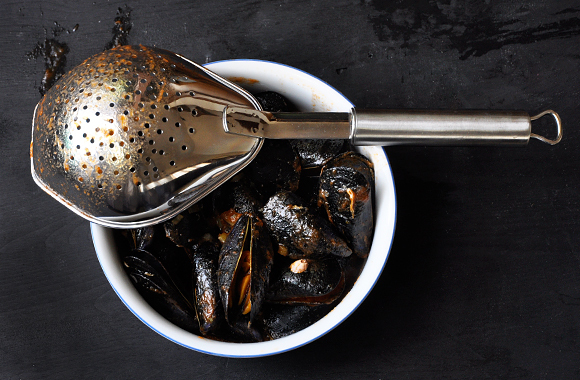 Clean and scrub mussels and wash them thoroughly under running water. Pour oil into a pot and cook onion and garlic over medium heat about 5 minutes. Add wine and tomatoes and simmer uncovered for half an hour. 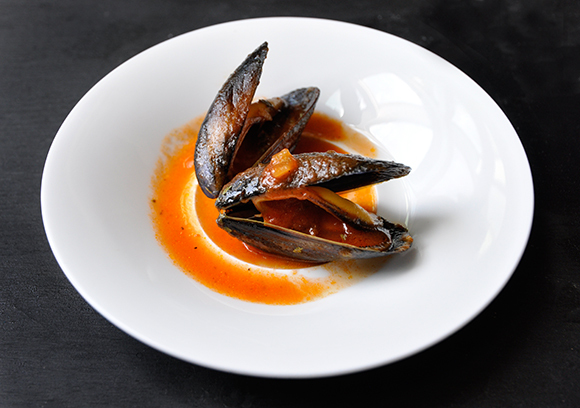 Add mussels, salt, cayenne pepper and oregano to the sauce and cook until mussels open wide (about 5-10 minutes). Discard any unopened mussels. Serve hot with boiled linguine or crusty bread to soak up the sauce.